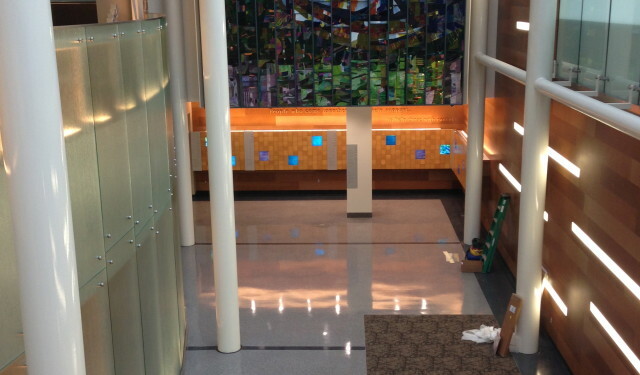 Mary Bird Perkins Cancer Center Dedicates Newly Renovated Hospital | Manufacture custom architectural signage and graphics for over 40 years.Architectural Signage | Graphics | Manufacture | EMG Graphic Systems Mary Bird Perkins Cancer Center Dedicates Newly Renovated Hospital | Manufacture custom architectural signage and graphics for over 40 years. 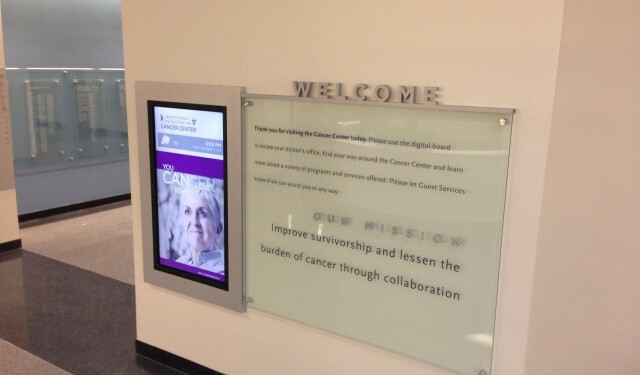 For over 2 years, EMG worked in cooperation with Cardosi Kiper Design Group (CKDG) of Chicago and hospital team members to implement a comprehensive way finding program for the Mary Bird Perkins Cancer Center in Baton Rouge, Louisiana. 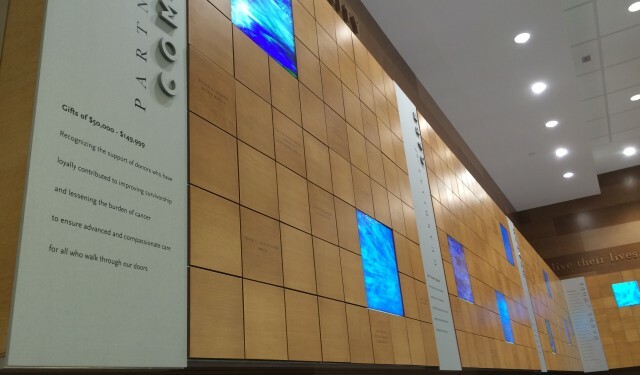 Way finding elements included overhead directional signage, changeable wall-mounted directional signage, and a multitude of ADA compliant room identification signage. 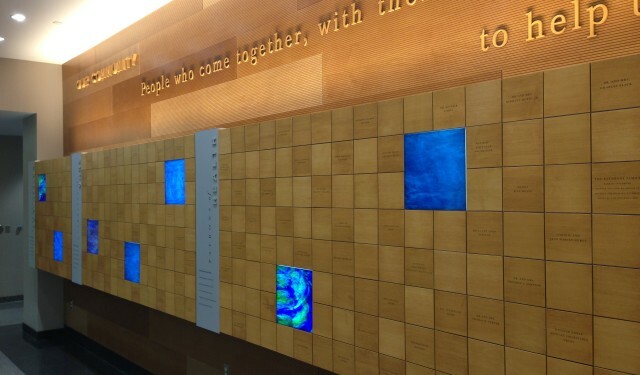 For Donor Recognition, CKDG proposed an intricate, wooden tile based display with silkscreened copy for each recognized individual or family while tying the entire display in with custom stained glass elements and engraved and infilled aluminum panels to match existing finishes in the building. 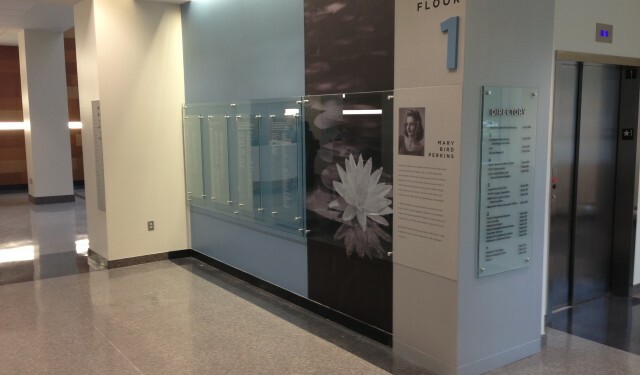 Additionally, a historical timeline was produced with plate glass, digitally printed photographs, and subsurface applied copy, with changeable, updatable elements used throughout. 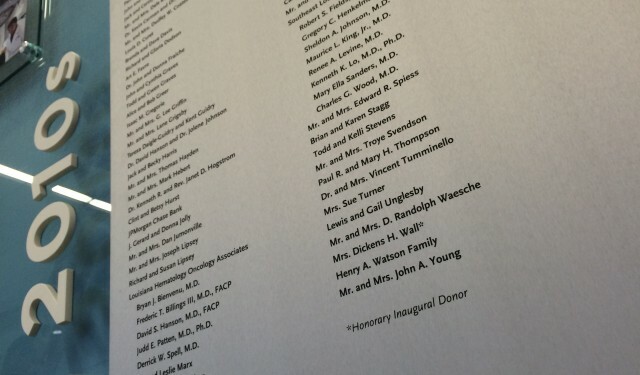 Interactive touch screen displays highlight the entire donor program and provide a physician directory for patients to use upon arrival.